Serial Timer USB is a software product developed by Hot Time Software. We know of version 3.3. Version 3.3 is downloadable at our site. Serial Timer USB installation package has a size of 7,211,788 bytes. 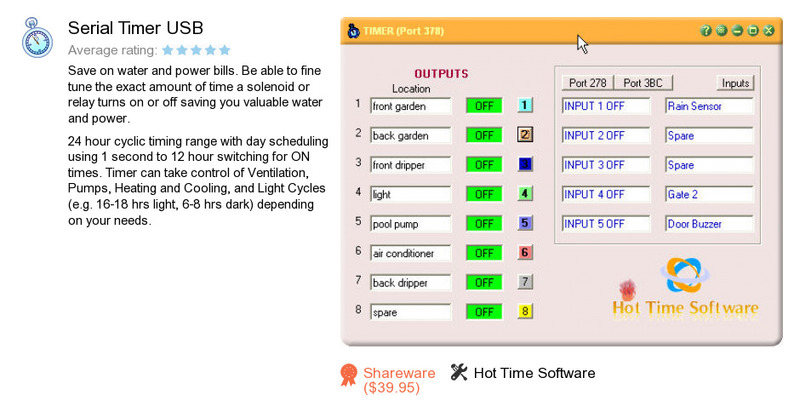 Hot Time Software also publishes Timer and SerialTimer.